Songs of Eretz Poetry Review: New Showcase Story: "Songs of Stone"
A thank you goes out to all of you who enjoyed reading and commented upon the most recent Showcase story, "High Noon in Kirojo." It is your patronage that keeps the Showcase going. The first third of a new story is now in the Showcase: "Songs of Stone." 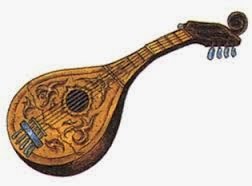 This story takes place in the fantasy world of Eretz and features Danule the Balladeer. I hope you will enjoy it.